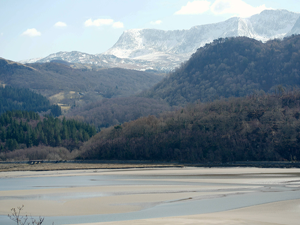 Farchynys, the school’s Welsh Centre, is located on the stunning Mawddach Estuary in southern Snowdonia with views over to Cadair Idris. 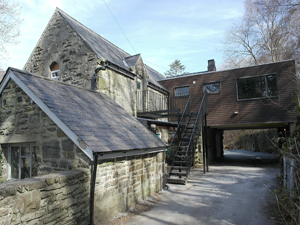 Purchased for the school in 1963 it has been a centre for adventure and learning in a contrasting setting for the past 50 years. The centre provides basic self-catering accommodation for up to 24 pupils and accompanying staff in dormitory accommodation, together with classroom and dining room facilities. The school also owns 10 acres of the adjoining headland including its own access onto the estuary. All year 7 pupils visit Farchynys in the summer of their first year in a series of trips with other members of their form group. These “Learning to Learn” weeks form an end to the year when pupils learn about learning in other contexts and about working with each other. 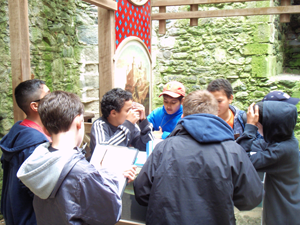 Typical activities include visits to Harlech Castle, a local slate mine, the Centre for Alternative Technology and creating their own meal one evening. The CCF are a major user of Farchynys with many visits each year. These range from core training within each section, to Adventurous Training expeditions on the local mountains. The centre is also used throughout the year for a series of visits by various subjects, clubs and societies. Sixth-form students in Biology and Geography visit to complete field work and the English department undertake a Gothic weekend exploring this literature genre in preparation for A-level.